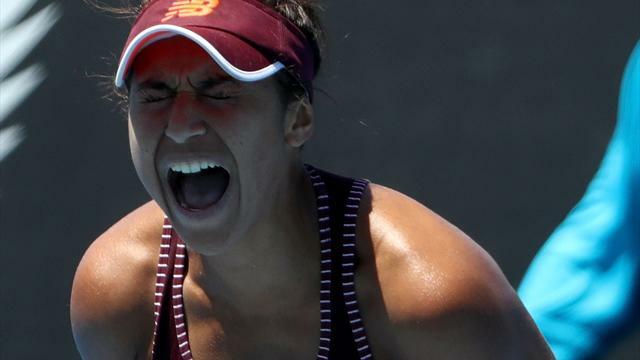 Heather Watson reached just her second WTA Tour semi-final in nearly two years by beating Donna Vekic 6-0 6-4 at the Hobart International. Last summer's run at Eastbourne was the only time she had reached the last four since she won her third WTA title in Monterrey in March 2016. The British number two won the title in Tasmania three years ago and was in brilliant form for most of the match on Thursday, opening up a 6-0 5-0 lead. The 25-year-old has never won a professional match without dropping a game and Vekic threatened a comeback by winning four games in a row. But she stopped the rot to clinch victory and will face second seed Elise Mertens in the semi-finals.